When we speak of the church fathers we immediately think of St Athanasius, St Cyril, St John Chrysostom, Clement of Alexandria, and the many other well known patriarchs & deans of the School of Alexandria. Only recently have I come across a man who has been very influential in Coptic Church in the sixth century, yet virtually unknown to many Copts today. He was no patriarch, or a priest or even a monk, yet his theological, philosophical, and scientific, writings have been very influential in his time and only started to resonate its effect in the late 20th century in the scholarly field. John Philoponus was born from Christian parents in Egypt around the year 490 A.D. He received his philosophical learning at the pagan school of Alexandria, which was rising to prominence over and against the declining school of Athens which shut down by an edict of Justinian in 529 A.D. He received his learning from Ammonius Hermeion a skilled pagan philosopher. John’s youth was not spent in barren academic learning but he belonged to a group of committed Christians in Egypt along with St. Severus of Antioch who later on become the non-Chalcidonian patriarch of Antioch. This group of Christians – like the first seven deacons in Acts – embarked on charitable works; building churches, and holding heated discussions with non-Christians. Also in his commentaries on Aristotle’s work he argued against Aristotle’s theories of motion, hinting to a theory that was eventually developed by later great scientists such as Copernicus, Galileo, and Isaac Newton. He argued against the common Aristotelian theory of the time that there is a duality between that which is heavenly and that which is earthly. Philoponus also argued that the light of the heavens with that was produced by creatures upon the earth both belonged to a wholeness that was the creation of the logos of the creator against the Aristotelian theory that they were separate. 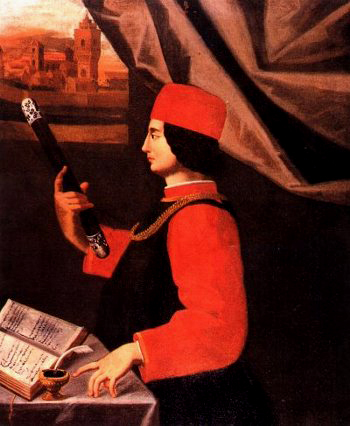 John Philoponus in his defence of Christianity in the scientific arena did not only offer original and clear arguments against common misconceptions in the field of science in his time but he also laid the foundation for modern scientific methods with compelling influence upon the scientific culture down to our present time. John Philoponus did not only leave his work on the scientific front, he also contributed immensely to the Christological controversy of his time. In the aftermath of the council of Chalcedon many attempts were taking place to reconcile the two parties of the controversy. Justinian the Roman emperor at the time who sided with the Chalcedonians, asked John to come and debate the issue in person. But to our good fortune Philoponus declined the offer, but he set out to write down his theological position as a representative of the non-Chalcedonian church. This document “The Arbiter” comes down to us in Syriac and was recently translated to English by Uwe Michael Lang. Our contemporaries, who contend on the holy Incarnation of the Logos, the majority of them, as it were, except for a few in number, while their opinions largely agree, are only opposed in words to each other; while the one side has agreed to say that after the holy union, which is beyond reason, of the Logos with humanity, they confess one composite nature of Christ, the others have decreed that after the union nonetheless two natures ought to be predicated, and not one. A sign that their opinions, as I have said, do not conflict with each other is the fact that the majority of our contemporaries do not say these things in controversy. Rather, in every statement which is pronounced by either of them, each side avoids the absurd implications of its opinions; the one of change and alteration of the natures that have come into union, the other of a division into particular hypostases, so that each hypos­tasis would appear simply on its own, as one can hear from those sick with the impiety of Nestorius who speak of the same union only to the degree of a relationship. For the one party say they name two natures only because of fear of confusion, and the others seek to avoid the term “duality”, because they fear dissolving the union; they preserve the property of each nature without confusion, even though the one Christ is recognised by them as the end-product of their composition. Thus the denial of the absurdities believed to attach to each of these propositions is a proof, I think, of agreement in doctrine. You will not find that this happens with the other heresies. For each of them embraces as true doctrines the points criticised by those of orthodox views and they champion them and imagine that their opponents act impiously. But I hold it to be a feature of the piety of lovers of truth that each of them can introduce matters which unite the separation created by such controversial language. Further down in his argument he explains that the one-nature formulation makes sense logically and soteriologically. The church he says would never have disunited if the formulation of “two natures of Christ” had never been perpetrated. Philoponus also explains well how with a “composite one” we can speak of certain parts of the composite without having to assert their unity. This letter caused him to be declared a heretic by the Chalcedonian party in their second council of Constantinople in 553 A.D. In another polemic work against Chalcedon Tmemeata he attacks the notion of the primacy of the Pope of Rome in ecclesiastical matters, which started to surface at the council of Chalcedon. He argues that his primacy is a mere custom, supported by the greatness of the city of Rome because of its imperial authority and not in accordance with any ecclesiastical order. There are many writings by John that are extant and that deal with various aspects of Christian life, for example on Pascha, which he describes the events of the first Eucharistic service on Holy Thursday, affirming among other things that Christ used leavened bread. There is also his commentary in Genesis, in which he among other things discusses the nature of angels. John’s fate is not certain in the Coptic tradition. It is claimed with some evidence that he was condemned for heretical views on the resurrection, which also may explain his absence from Coptic Church liturgy books. Yet his legacy will be like that of his Alexandrian predecessor Origen, who’s some of his disputed works condemned him a heretic yet his influence in biblical exegesis is very clear in the writings of many of his orthodox contempories. Philoponus’ work from the sixth century can help us in thinking about our Christian views on scientific matters today in the 21st century. His works can also be a common ground of discussion with the Eastern Orthodox church especially that they have recently lifted the condemnation of his work “the Arbiter”. To sum up, this very little known great figure of our church is worthy of notes. He lived in a world that was overcome by pagan philosophies and scientific beliefs that directly attacked Christianity, while the church was in turmoil over the Christological controversy. This environment is very familiar to us today in many ways. Despite the many challenges he faced he found ways to reconcile scientific methods with Church beliefs on one front and participate in theological debates when need arose. Previous Post The Patriarchal Commentary! Next Post How to Use God’s Love to Treat Anxiety! Some mention of the Very Rev. Thomas F. Torrance and the way in his later works he championed the cause of Philoponus, especially with his light and inertia theories, ought to be made here, if we are going to understand the Grammarian as successfully moving beyond the debates between Monophysite and Chalcedonians, debates that in one form or another continue to this day in the Church of Jesus Christ.